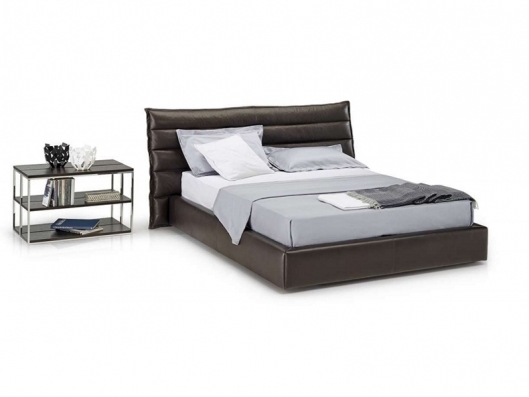 The bed Onda, designed by Claudio Bellini, is characterized by the headboard of the bed constructed as a single soft piece, integral part of the structure. It can be transformed into a "wing"� that enhances the base. This ensures the utmost visual comfort from every angle and gives to the product a glamorous look. Some dreams never stop making us happy. Options: A great functionality is guaranteed by the optional storage box, easy to open. The mechanism with double movement gives access to the compartment as needed: storage or repositioning of linen. 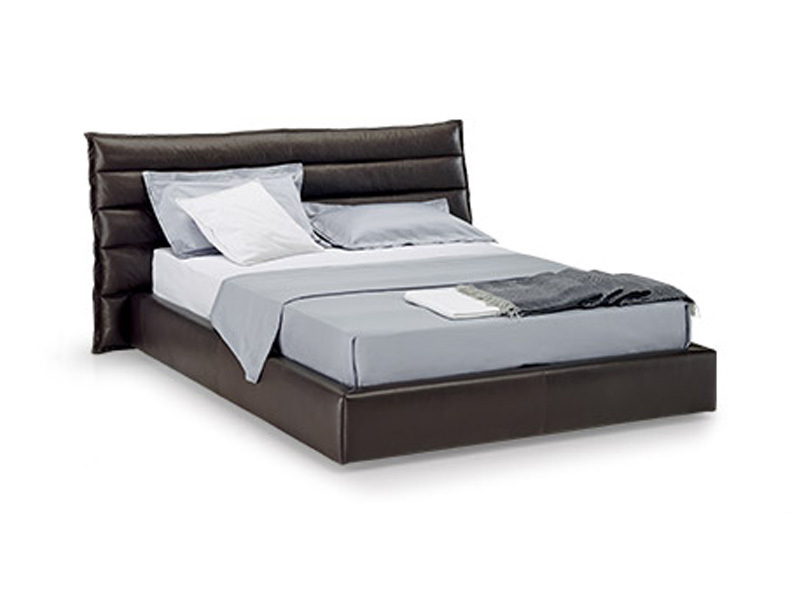 Material: Structure covered in top grain leather.